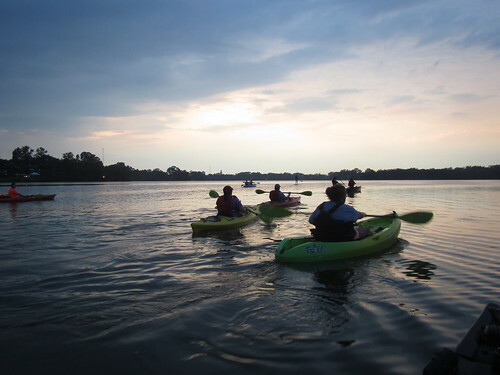 It was another rainy Friday leading in to the Sunset Paddle with BREC Outdoor Adventure, but yet once again, the weather rolled out just in time for another excellent evening of paddling. 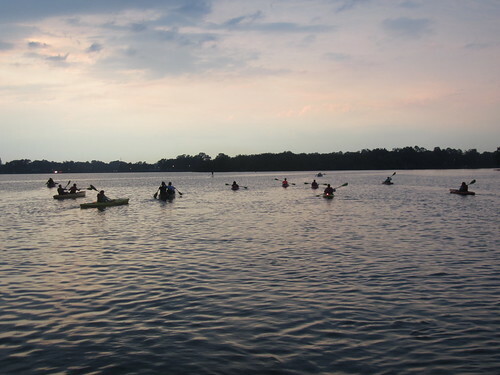 It’s apparently getting to be a paddling time of year again, as the BREC Outdoor Adventure had completely sold out of spaces for the Sunset Paddle many weeks in advance. 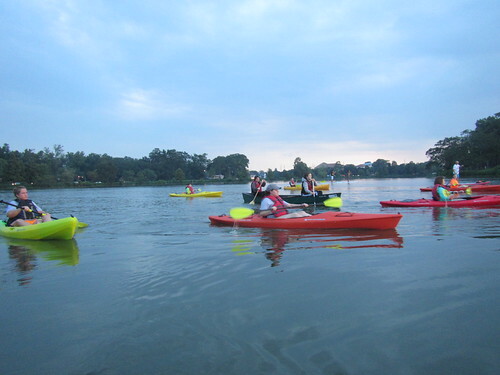 We brought a small fleet of our own as well so that more people could come along, and we had at least a couple red light kayaks and the PaddleBR sign canoe out there, too. It was very well attended. We all set off in the pleasant, completely rain-free evening light and headed off across University Lake. It was about the perfect evening for it, although the remaining light and fluffy clouds tended to obscure any direct viewing of the sunset. We’ll call that close enough to perfect weather for Louisiana. Almost everyone had a great time. 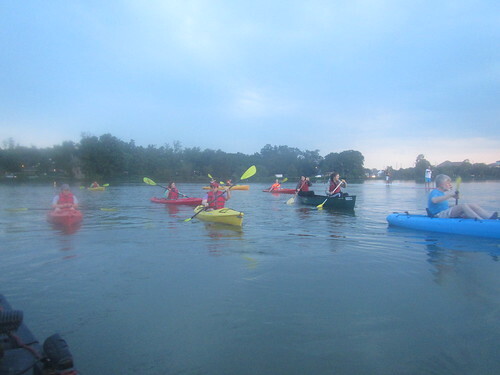 In the meantime, we’ve got a PaddleBR night paddle on Ward Creek and Bayou Manchac coming up on the 22nd (boats available for those without their own), and a day trip on Bayou Fountain and Manchac coming up the following week. With the record high temperatures seeming to have abated, this is a great time to enjoy our local waterways.